When this series started out I had some feel good vibes. 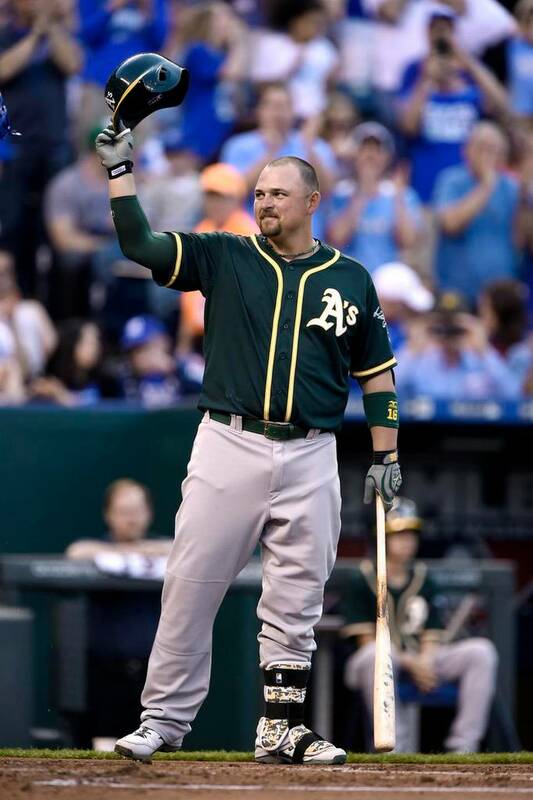 Billy Butler was back in town, we would be reminded of the great Wild Card game last year against the A’s and more than anything we were going to see two good teams lock horns. Instead, those vibes left the building early on and by the end of the series I wanted to forget the last 3 days even happened. We will get to the insanity in a moment, but I’d like to bring back a few good feelings first. A part of me didn’t want to pick anyone, just for the fact that no one really stood out. Friday was a good night for the offense, with 3 batters getting 3 hits apiece, but Saturday the bats were virtually silent and Sunday it took 3/4 of the game to get much going. 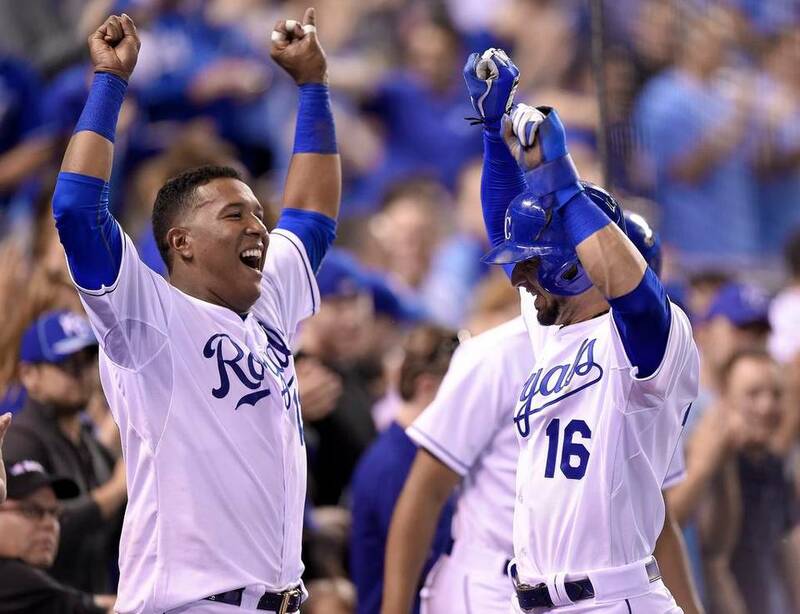 Yes, the Royals offense this weekend looked more like the 2014 edition of the Royals. That being said, Eric Hosmer had a good series, going 6 for 10, with an RBI, and 2 walks, including a big base on balls in Sunday’s contest that helped fuel the rally in the bottom of the 8th inning. The only downside to his 6 hits was that they were all singles and continues to not really drive the ball much. Hey, I’m glad the guy is starting to find some holes and get on base(both good things), but as a cleanup hitter a few extra base hits would go a long way toward getting his power numbers to get in a upward projectory. All in all a good series for Hos and hopefully one he can grow on with Minnesota coming into town. I would have loved to give this nod to one of the starting pitchers in this series. Unfortunately, all 3 were way off from giving the Royals quality starts. 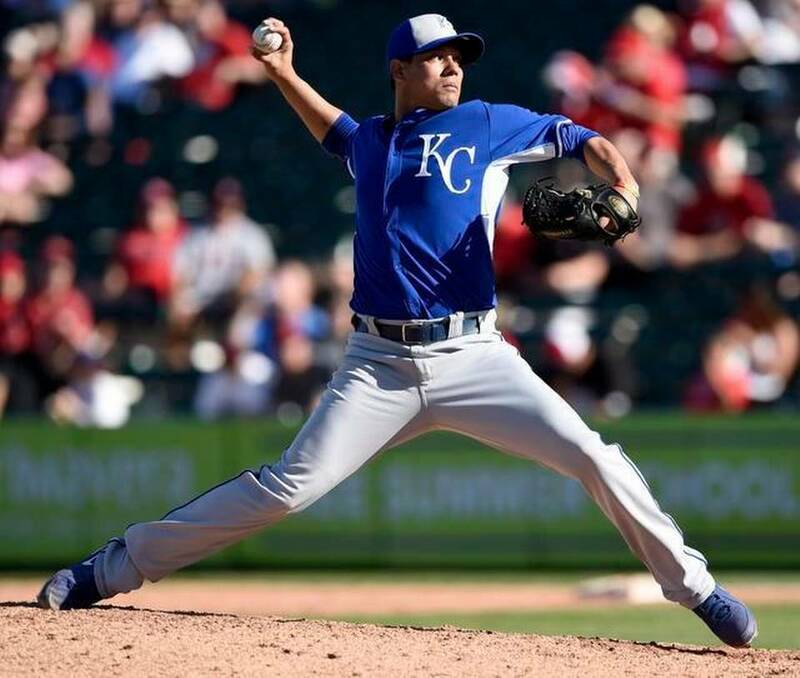 One pitcher that did excel over the weekend was Yohan Pino, who was recalled from AAA Omaha on Saturday to take the roster spot of closer Greg Holland, who would go on the 15-Day DL. Pino would almost immediately be called upon, as he would replace Yordano Ventura in the 4th inning after his implosion set off a number of bad decisions. All Pino would do in his Royals debut is go 4. 2 innings, giving up only 3 hits while walking none and striking out 3. The Royals needed someone to come in and right the ship and Pino did just that. I don’t know how long we will see Pino up with the big league club, but for now he has earned the right for at least a few more outings. Good to see there was at least some good news on the pitching side of things during these 3 games. So this led to Saturday night, where most baseball fans felt like Lawrie was probably going to be hit at some point, even if I’m not even 100% for sure he deserved it. In his first plate appearance Yordano Ventura did throw a pitch that was up and in a bit. Honestly, that was good enough for me. Message sent and hopefully we can all just move on from the stupidity of what was an aggressive slide that ended up injuring someone. Instead, after Josh Reddick rocked a Ventura pitch into the right field bleachers, Lawrie would step up to the plate and would get hit by a 100 mph pitch in the elbow. Ventura, obviously upset that his night was soon coming to an end, decided that was the right time for “revenge”. As I sat in the outfield at Kauffman Stadium, listening to the other Royals fans cheer their heads off, all I could keep thinking was that this whole thing was stupid. Fine, stick up for your guy, but if you are going to pay Lawrie back, do it in the first at bat. Otherwise, choosing to do it after giving up a home run makes you look immature and letting your emotions decide your decisions. Obviously, I felt like the weird fan in the crowd who felt like Lawrie didn’t even do anything majorly wrong, or at least not to put up with this circus. By the way, Lawrie did a good job after he got hit of just walking to first base and staying there while the benches and bullpens emptied. It did seem as if at that time he kept the cooler head. Ventura was ejected(rightfully so) and the game moved on. My serious hope was that we were done with all the shenanigans and Sunday’s game would be a contest just about baseball. Unfortunately, Sunday’s game wouldn’t be any better. In the bottom of the first inning, A’s pitcher Scott Kazmir hit Lorenzo Cain in the foot with a pitch. 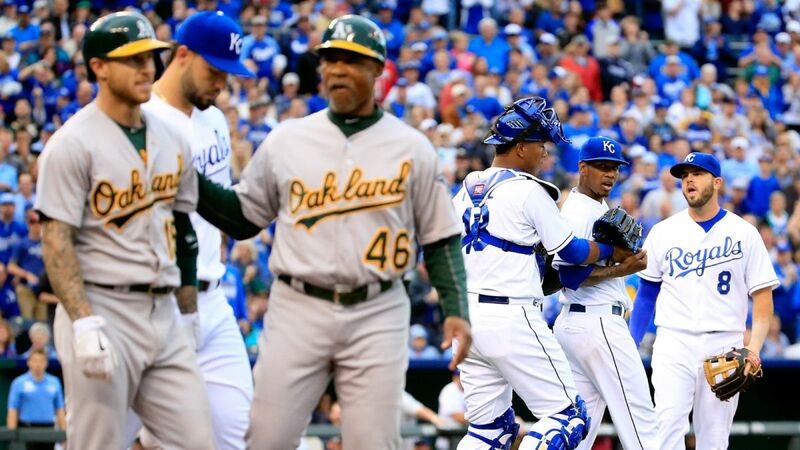 This led to the Royals bench chirping at Kazmir while the umpires dished out warnings to both teams. I’ve actually heard people say they think Kazmir hit Cain intentionally. Really? Kazmir: "Anyone who has a feel for the game, they would know it’s not intentional. I don’t think anyone tries to throw at someone’s toe." Lawrie did lose his cool after this, and even started arguing with fans near the A’s dugout. Just horribly stupid. This whole thing could have been avoided if everyone would have just focused on playing the game rather than getting into a some macho feud with no actual intention. I call a spade a spade on this one, and the Royals were in the wrong. I get being upset that they have been hit 14 times in the first 12 games of the season, but I look at that as a gift. Other than maybe a couple against Chicago the first series of the season, the rest of the hit by pitches have not been intentional. In fact, these have all been free baserunners for the Royals, many of which helped keep rallies going and helped Kansas City score runs. Yes, it’s not fun to get hit that much, but take the free base and make them pay for doing that. The proper revenge in any of these scenarios is to go out there and get Lawrie out. That is the best revenge. 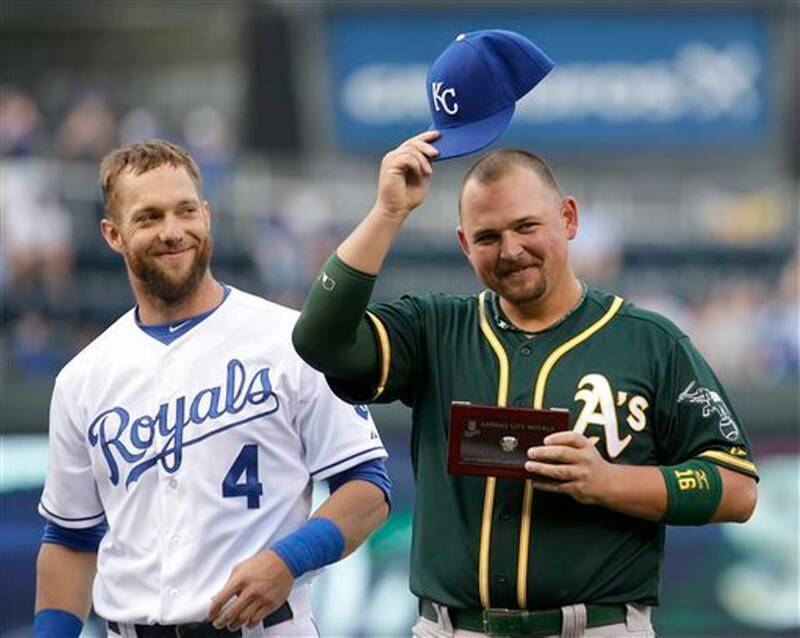 My favorite part of the weekend was Billy Butler getting his American League Championship ring. A lot has been said about Billy the last few years but even at the end he didn’t want to leave. There is something to be said for him wanting to stay in Kansas City. 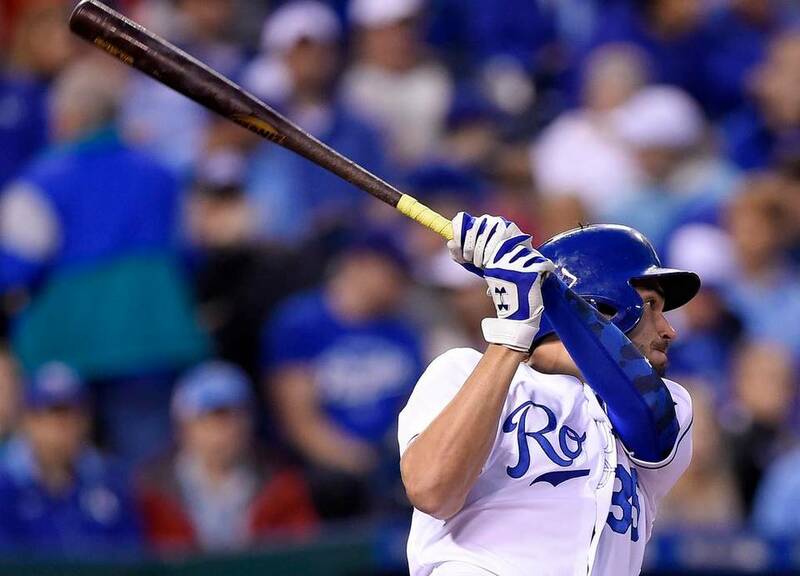 One of the nice things that probably went unnoticed this past weekend was how we started seeing a light at the end of the tunnel when it comes to Omar Infante and Alex Gordon and their offensive woes. Infante went 4 for 8 in the series with 2 RBI’s and has pushed his average up to .250. Unfortunately, he also left Sunday’s game with a groin strain so we will see how much action he sees against the Twins. Gordon went 3 for 8, including a 2 hit game on Saturday night. Gordon is still a bit behind because of his wrist surgery this offseason but it is just a matter of time until he starts getting hot. As mentioned earlier in the pitching performance section, the Royals starting pitchers did not have a good weekend. Jeremy Guthrie looked like a batting practice pitcher on Friday, Ventura had control issues on Saturday and Danny Duffy looked very unfocused this afternoon. The offense and bullpen won’t be able to pick this team up every time the rotation falters, so there is a need to see some quality starts as we get closer to May. Closer Greg Holland going on the disabled list is never a good thing, but if there is a preferred time for it to happen, it would be now. The team has plenty of depth, and with Luke Hochevar probably coming back in May it could get even deeper. Hopefully Holland will only be down for a bit and is able to get back to action soon. Erik Kratz not only got into a game, but he appeared in 2 games this week! Kratz got the start on Sunday, but as always, was replaced by Perez late in the game. I know Kratz looked like a guy who hadn’t appeared in a game in 3 weeks…because he hadn’t! Plus, if you don’t allow Perez to get a full day of rest, they are going to be back in the situation they were in late in the seasonlast year, that of Salvy looking tired and his offense suffering. Kratz is not such a bad defender or hitter that a few extra innings of him will cost the Royals any games. Anyone else think Salvy’s hit down the third base line on Friday night was eerily similar to his game winning hit in the Wild Card Game? Out of all of this mess is has probably been forgotten that the Royals won the series, 2 games to 1. The Royals are sitting at 9-3, a game behind Detroit in the American League Central. The Twins are coming to Kauffman Stadium to kick off a 3 game series on Monday and hopefully the results are different than last week’s trip to Minnesota. Oh, and Kyle Gibson is pitching for Minnesota on Monday, which is not good. Let’s hope the Royals keep their excitement for this series while holding back any deep thoughts of revenge or retribution. Oh, and I’m looking forward to saying ‘Plouffe’ this week. I can neither say nor deny whether or not that Trevor’s name is my ‘safe word’. So onward and upward we go, to a land where we only discuss the baseball played on the field, not the extracurricular activities. Hey, a guy can dream! My thoughts on things. Did Lawrie deliberately attempt to injure Escobar? Heck, no. Was the path taken with his slide foolish and reckless. Very much so. Nick Kenney was right, we did dodge a major bullet. On Saturday, I felt like only hit Lawrie if the game somehow dictated it. Ventura was wild all night. He gives up a bomb, he’s probably only in for a batter or two more anyway. Ok, I was sitting about 50 feet from the plate when he got drilled. I didn’t cheer, but I also felt like it was expected and ample punishment. Sunday, was listening on radio until Cain got hit then I moved to a television. People are whining about Kazmir’s control being spot on. Well, yes. If it happens in the fourth or fifth, I’d at least roll my eyes. In the first, no chance it was deliberate. I feel Yost was more adamant in his arguing not about the pitch hitting Cain, but the fact there was now a warning in which the Royals were in a lose/lose situation. Duffy can be quite wild at times. Now, even if he also accidentally hit an A, he would likely be tossed. (Notice how Danny’s approach got screwier and he pretty much walked the park because he couldn’t/wouldn’t throw inside). I will not address Kelvin Herrera for that, unfortunately, stooped to a level that doesn’t belong in Royal blue. Yes, I get that he’s friends and teammates with Alcides. Yes, I get that Cain got hit earlier (in the foot). Ventura already hit Lawrie the night before. It’s over. Move on. A few of the Royals were somewhat vague in their postgame presser in support of their teammates, saying we back each other right or wrong. The only reason they used that phrasing is because they (understandably so) are standing besides Herrera who was blatantly in the wrong. I have little doubt that he will field a fine and suspension (Only Herrera should in my book), and the rest of the matter will be addressed internally. 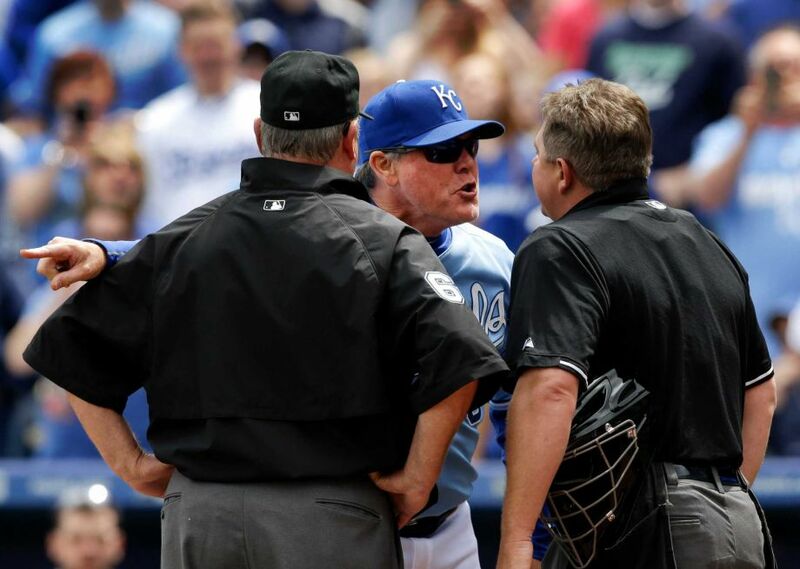 I am still very much in the Royals’ corner through much of this, but I can only imagine that even with a public apology, our seventh inning man has opened up a can of worms that will be re-invented in late June.